When Scotland First Minister Nicola Sturgeon visited Perth College UHI (University of the Highlands and Islands) earlier this month, she announced a further £50 million investment in the region, following on from the Scottish government’s £150 million commitment to the Tay Cities Region Deal, which will support the University’s new Aviation Academy. This latest comprises £40 million to help Perth and Kinross Council deliver the Cross Tay Link Road and £10 million for an industrial investment programme. 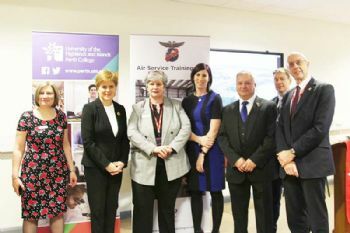 Margaret Cook, principal of Perth College UHI (www.uhi.ac.uk), said: “We are pleased to be leading one of the Tay Cities Deal projects — the Aviation Academy for Scotland. Jim Watt, managing director of Tayside Aviation, said: “Having celebrated our 50th anniversary last year, we are delighted that the plans for this much-needed Aviation Academy can now take flight, reinforcing the excellent reputation that we work hard to maintain year on year. The academy will offer 540 training places over its first four years of operation. 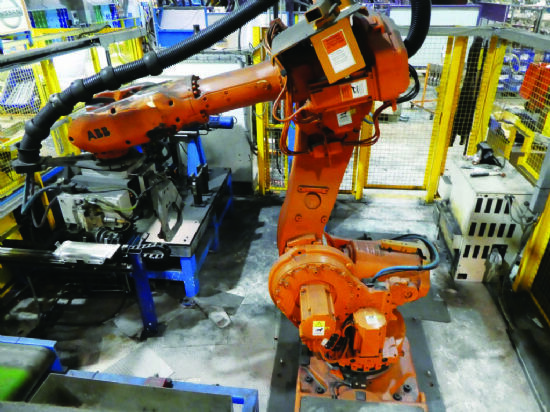 Its Perth Campus will focus on engineering, air traffic and aviation management skills. Its Dundee Campus will be based at Tayside Aviation and will focus on pilot and cabin crew training.